If you act now, you can secure your 2019 vendor booth before the price increases on January 5th. Please join us for the 9th Annual Kids Camp & Summer Fun Fair. Around 2,500 people (that’s 600 families!) in the Chattahoochee Valley attend our expo each year so they can meet with you face-to-face and collect information about your summer camps, activities, attractions and more. The Expo will take place at our area’s number one attraction, the National Infantry Museum on Sunday, March 17, 2019, from Noon- 4:00 pm. Admission is FREE. 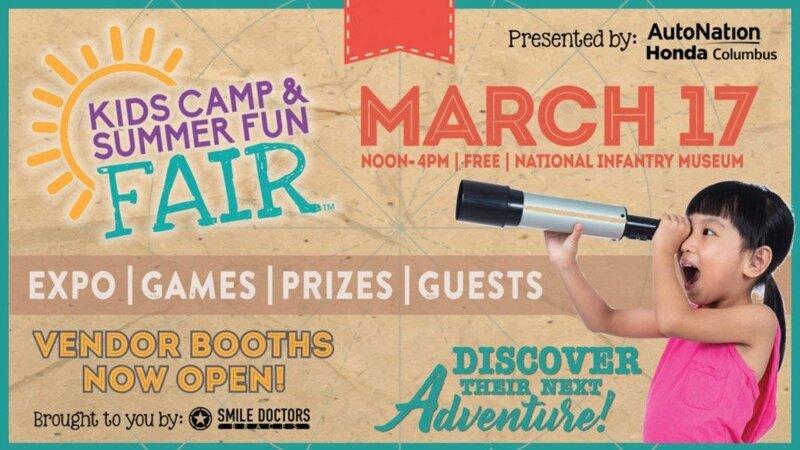 The fair will feature over 45 representatives like you who are there to promote their summer camps, attractions, activities, and destinations. Most of the vendors offer games, activities, giveaways or special guests at their booth to keep the kids entertained and draw traffic to their booth. Camp fairs are high traffic, one-stop shopping experiences for consumers looking specifically for your products and services. Exhibiting exposes you to a targeted audience in a cost-effective way. Our Kids Camp Fair will give you the chance to show families in West Georgia and East Alabama what you have to offer for summer and fall. Anticipated attendance is 500-600 families. 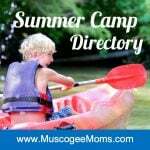 Any organization, school, or church that offers spring break or summer camps, attractions, family-friendly activities, daycare & childcare programs, or vacation bible schools. Please note that we are only accepting applications from camp representatives and organizations who offer summer activities and programming for kids. Each vendor booth is provided with an 8′ high pipe and draped backdrop from which to hang your own signage. You will also be provided with either a 6′ or 8′ black skirted table and two chairs. A number of black skirted tables are classroom style (6′ x 2′) due to limited availability at the NIM. Also, a limited number of booth spaces will have access to electrical outlets. There is no additional charge for these tables, but you must request one on your Vendor Application. Does the NIM have specific guidelines or restrictions for vendors? Yes. Details are listed on the Vendor Application. Will vendors be served lunch? No. You may bring your own lunch and leave it in the Vendor Hospitality room. The Theatre Concession Stand will be open with hot dogs, corn dogs, Pizza (4″), cheese sticks, poppers, onion rings, and fountain drinks available for purchase. No coolers are allowed in the Lower Gallery. Drinks at your booth must be in enclosed containers. If you have any snacks at your booth, please consume them discretely. The booth fee is printed on the Vendor Application. We have a limited number of Vendor booths and sell out every year. To reserve your spot you must return your application and payment. Payment can be made by check or credit card. See the Vendor Application for more details. How are vendor booths assigned? If you have any questions, please call Charlotte at 706-888-0260 or Tammy at 253-312-7270. We look forward to seeing you there!